in Belvedere, SC, offers their residents a quiet and safe community. Northside Mobile Home Community is a nice and conveniently located mobile home park near Belvedere, SC. Northside Mobile Home Community offers a variety of options for mobile home rentals near Belvedere, SC. The Northside Mobile Home Community in Belvedere, SC is the perfect place to end your mobile home-search and begin living your new life! Our slogan, “A Step Above The Rest,” means that the quality of our community outshines that of our competition because we take pride in what we do and maintain our grounds at the highest standards. 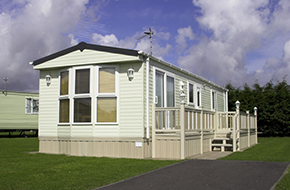 •	Affordability—Living in a mobile home can include most of the amenities that a single-family house has to offer, but for a fraction of the cost! 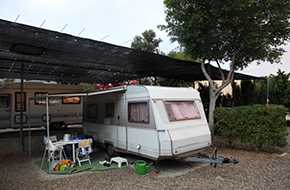 •	Flexibility—Whether you want to rent a mobile home, or just the lot, there is an element of flexibility in your living space that other rentals cannot offer. •	Privacy—With your own driveway, your own lot, and your own detached home with no shared walls, you have all the privacy that comes with a single-family dwelling, but at a reduced cost! 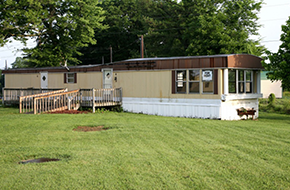 •	Community—Residing in a mobile home community provides additional security and the feeling of neighborhood living. •	Management—Having property management that is responsible for maintenance, ground keeping, and resolving resident issues is both convenient and helpful, and adds to a more peaceful and pleasing living experience. If you have been searching for an affordable and good quality mobile home park near Belvedere, SC, then rest assured that the hunt is over! Our community features large spaces, a community of peaceful neighbors, and ample property on each lot. Northside Mobile Home Community can also help those looking for mobile home rentals near Belvedere, SC. So if you need to discuss lot rental, space rental, or have questions about renting trailers and mobile homes, contact our management office today!